The location and price were very good. The host was kind and helpful. They provided us with clean towels. There was tea and coffee in the kitchen. It was worth it for two nights. 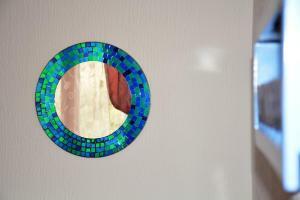 Excellent location,clean and cozy appartment.Very helpful and kind host! The location was great - walking distance from the old city and the castle. Lovely apartment at a super central location, right beside the fortress and the river bank, a few minutes walk to the old town center, and easily accessible from the train/bus station. The apartment was really clean and cozy, and in fact seemed nicer than we expected from the photos. The bed was really comfortable with clean sheets. The shower was very convenient and even had underfloor heating which was such a pleasure in the winter. The host was very friendly and helpful and even let us stay beyond our checkout time while waiting for our transportation on a rainy day. Perfect place to stay especially you like night life. Clean room. Warm and nice owner. The location was just excellent! SO close to the castle and the city centre! Also, the apartment was very warm, which was great when returning from the snow outside. 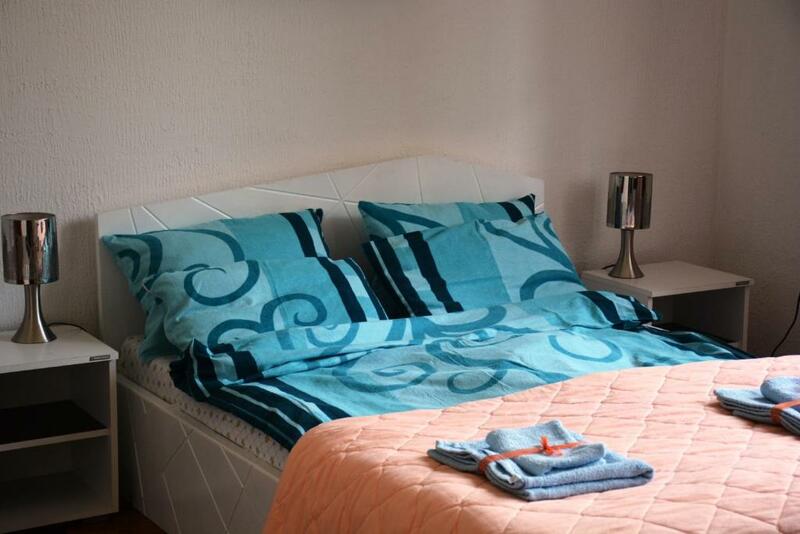 the location is perfect and the apartment is well equipped. also, the bed was super comfortable and sheets were fresh and clean. the heating was on point as well. it's probably a best buy option for this part of the city. Lock in a great price for Cozy Downtown Apartment – rated 8.9 by recent guests! 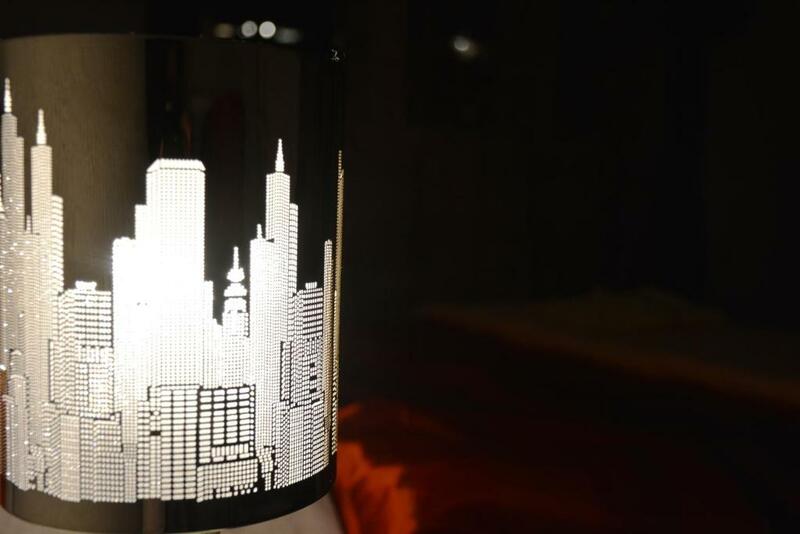 One of our best sellers in Belgrade! 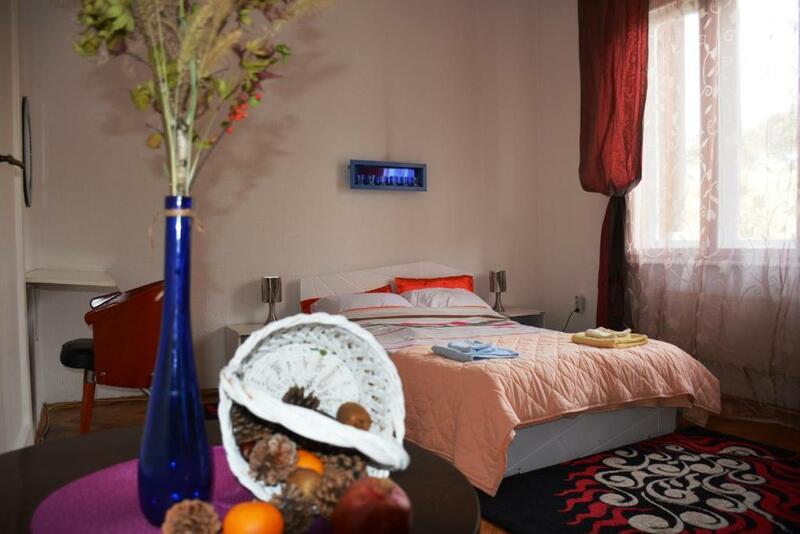 Cozy Downtown Apartment offers accommodations in Belgrade, 1.2 miles from Trg Republike Belgrade and 1.7 miles from Splavovi. Free WiFi is available in this apartment, located 2.1 miles from St. Sava Temple and 2.4 miles from Belgrade Arena. This apartment features 1 bedroom, a cable flat-screen TV, a dining area, a kitchen and a living room. The apartment also provides a bathroom with a shower. Belgrade Fair is 2.8 miles from the apartment. Nikola Tesla Airport is 11 miles from the property. 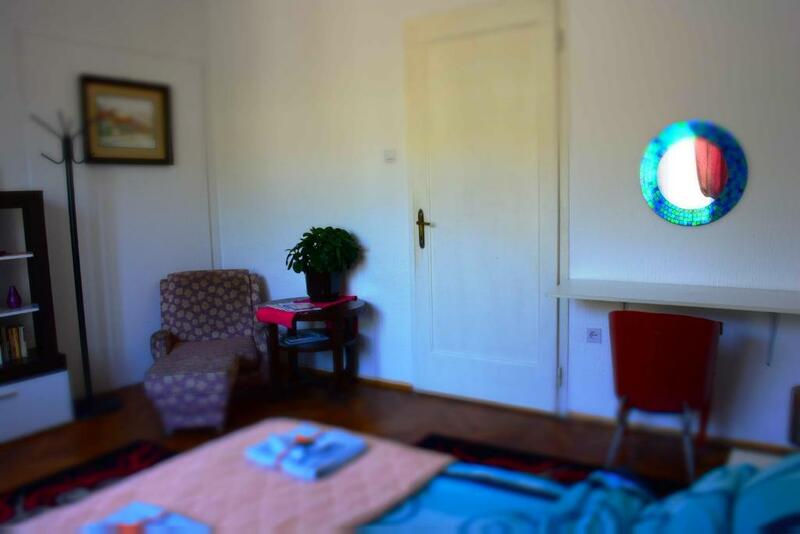 뀐 Located in the real heart of Belgrade, this property has an excellent location score of 9.4! When would you like to stay at Cozy Downtown Apartment? This apartment features a kitchen, electric kettle and seating area. The apartment is fully equipped for two persons. Spacious room with queen size bed, cable, TV, WiFi, wardobe and hairdryer enables you to enjoy your stay to the high level. The kitchen is completely equipped in case that you want to prepare some romantic dinner :) What makes our apartment special? It is on great location in the very city center. It is always perfectly clean and tidy. We would like to show to our guests the famous Serbian hospitality. We will show them around the city, point out the best spots to visit, from bars, clubs and restorants, to historical monuments and museums. We travel a lot and it's always better when you have to someone to present you the city so you can fell like home and not like just another tourist. Therefore, we are always available to our guests, and they can contact us for any help they might need, by phone, or Viber. And the end, we live just 2 minutes away from the flat, so we can come and help them very fast if they need us. 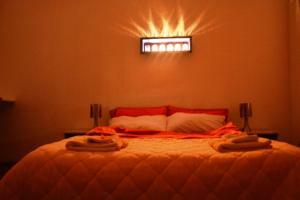 The apartment is very clean, cozy and situated on exellent location with beautiful view on Kalemegdan fortress. All city sights are on walking distance, so you will not need to use public or any kind of transport. Moreover, there are many nice restaurants and caffes nearby. Area Info – This neighborhood is a great choice for travelers interested in nightlife, food and history – Check location Excellent location – show map Guests loved walking around the neighborhood! House Rules Cozy Downtown Apartment takes special requests – add in the next step! Please inform Cozy Downtown Apartment of your expected arrival time in advance. You can use the Special Requests box when booking, or contact the property directly using the contact details in your confirmation. Bed is significantly small. No proper curtains. Old building. The kitchen could have been more clean. But the host brought us coffee, so that we could prepare our coffee every morning. Also, there was no shampoo in the bathroom. The apartment is a bit small for three people. The beds are old and not very comfortable. It would be better if the curtains would block the sunlight in morning. At the check in they had no key, so we couldnt lock the door when we went out. When i was in the city i got an message that they leave the key in the appartment. A little bit too late, fortunately nothing was stolen. The check in could go better. the sound isolation is a bit problematic. at times it felt as if someone is entering the apartment but it was just neighbors entering their own. but you get used to it eventually. At night the place gets really noisy because under the window of the apartment you can find most of the famous party places of the city. Also there was some fustiness in the flat. The apartment really has a lovely artistic note to it. It's a nice blend of vintage and modern, with lots of colour and light. What my Mum and I liked the most about this place were the colourful, little details - purple, polka dot tea cups, the paintings on the walls, cute shower curtain, modern lamps on the nightstands.. Also, the location is superb - your window overlooks the Kalemegdan fortress. The apartment had everything we needed, it was clean and the hostess was very nice and well informed. Overall, it's great value for your money. The lift it would be perfect for a horror movie, but this is because of the old building. The owner of the apartment was very kind with all our askings. She is lovely and amazing. She helped us very well. 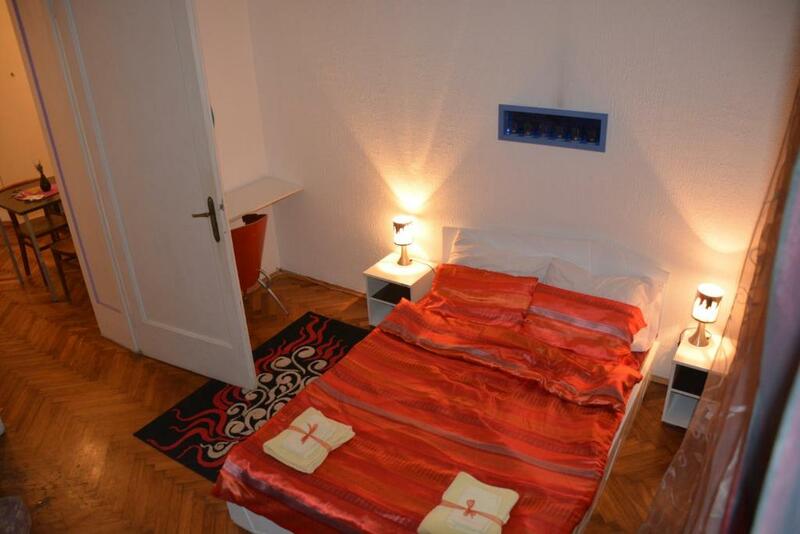 The location of the apartment is very good, near the main belgrad park. 15 minutes walking to the downtown and near to night clubs and 10 minutes walking to the Bus Terminal - Train. The apartment was very clean, and with everything that you need for some days. Thanks to the owner for everything. A must booking. I think that things you know about the flat when you make the booking, you can't write them as disadvantages. So, the only thing I want to write that Wi-Fi isn't working good at both rooms. At kitchen Wi-Fi is very good, but in the bedroom internet connection is very poor. I will start with the hostess: Dragana is the best hostess I've ever had at my travels. She helped us in everything... About the room and also information about Belgrade. The photos of the room are accurate and also most of the comments about the room are correct. It's not the perfect room, but it's super "value for money". It's very near to the central pedestrian road Kneza Mihaylova (3-4 minutes walking) and Kalemegdan fortress is opposite (the entrance 2-3 minutes). To the other direction, in 2-3 minutes you can walk next to Sava River and the bars, restaurants there. Also, very near the flat are bus and tram stops.